Solo Guitar/Vocal - Available for Bistros, Restaurants, Bars, Private Functions and Weddings. After finishing his University Degree in Fine Art, Chris started performing professionally in a duo called Silhouette, which took him off to Crete for 2 summer seasons at Thomson's new resort, Sensatori. He also worked for Thomson Gold venues in Calla Bona, Majorca. After deciding to be based in the UK for a while, Chris formed the band, The Keytars! 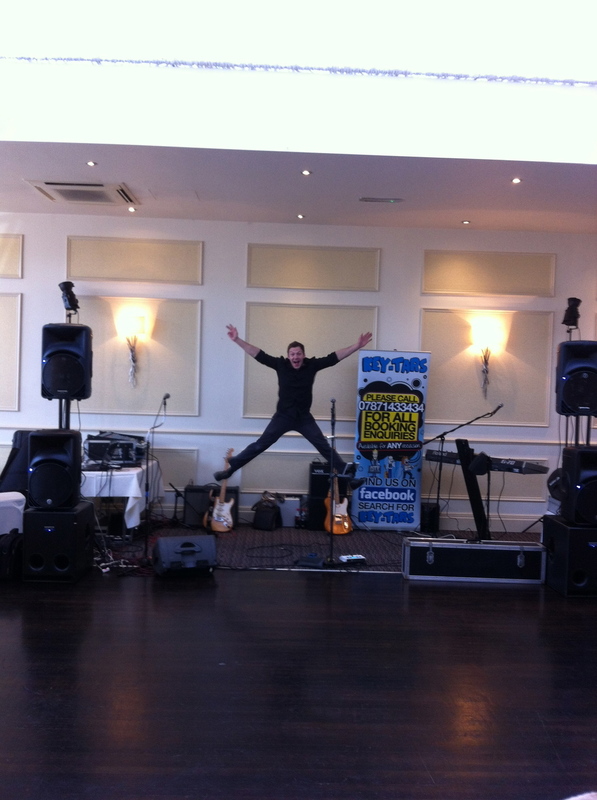 As well as rocking it up with the Keytars, Chris also performs solo in for corporate events, wedding breakfasts, restaurants and pretty much anything else you can think of.